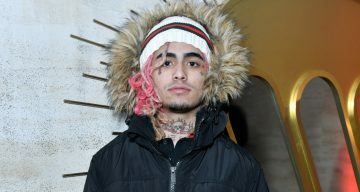 “Gucci Gang” singer Lil Pump is gaining more and more popularity by the day by making a place for himself in the world of hip-hop. The rising star, who is known for showing off some serious money and drugs on Instagram, came from humbler backgrounds. Find out what his real name is and how he rose to fame with details from our Lil Pump wiki. Lil Pump has a multi-million-dollar kingdom, and it is expanding fast! He is mostly known for his song, “Gucci Gang,” which catapulted him to the top of the new-artists-on-the-rise list in hip-hop. Lil Pump’s real name is Gazzy Garcia, and he comes from Miami, Florida. But his childhood in the Magic City was far from breezy and sunny; he was a drug dealer. The Miami native has been removed from several educational institutions when he was growing up. According to sources, Lil Pump was expelled from schools for starting riots and beating students up (like a girl who put gum in his hair). He was basically known for being a troublemaker on school grounds. Lil Pump said he “got kicked out” from many district schools in the ninth grade, and he went to an opportunity high school, but he was expelled from there, too. However, the young star prides himself on “dropping out of Harvard.” But considering that he’s not even a high school graduate, it’s highly unlikely that Lil Pump’s a Harvard drop out! The self-proclaimed “Trapper of the Century” was born on August 17, 2000, making Lil Pump’s age 17. Pump is reported to have never been interested in making music while growing up, but he was into rap music. And it all started when he became friends with Smokepurpp in his early teens. Smokepurpp was older than Pump, and was into rapping already. This influenced and paved the way for Lil Pump’s career to take off in hip-hop. Most fans think that the rapper is white, but he’s not. Lil Pump’s ethnicity is Mexican and Cuban. Very little is known about Lil Pump’s family, but sources say that his mother is Mexican while his father is from Cuba. There is no other information on them, and the hush about them could very well be for their own protection. His siblings are also out of the limelight. We do know that Pump was raised in Florida before he moved to California. His cousin, Lil Ominous, introduced him to Smokepurpp when he was a 13-year-old. Lil Pump owes his fame to his friend and mentor, Smokepurpp, whose real name is Omar Pineiro. The latter produced a single in 2016, and he involved Pump in it. The rapper was to freestyle over Smokepurpp’s debut single, “Lil Pump,” which released on SoundCloud. And it was a big success. Today, the five-foot-six star has made millions through his music and social media presence. By 2017, Pump had hit 70 million streams for “D Rose” and “Boss” combined. He also signed contracts with Warner Bros. and Tha Lights Global that same year. However, Warner Bros. canceled the deal because he was a minor when he signed on and the label did not have a certificate issued by the court. By August of that year, Pump was supposed to release his debut album, but the dates got pushed ahead. So, he only released “Gucci Gang,” which has received more than 630 million views on YouTube. By October, the album, Lil Pump, was released. It featured various artists like Lil Yachty, Chief Keef, and Smokepurpp, all collaborating with the young star. Like a true hip-hop star, the rapper is highly influential and has over 10 million followers on Instagram alone. Pump has become a worldwide sensation within the first year of his single’s release. And this teenager knows how to handle a crowd! Along with touring the country, he also had concerts in Canada and Russia, after his single “Gucci Gang” went viral. Drugs, money, women, and designer jewelry might all seem overrated, but Lil Pump portrays the very same in a couldn’t-care-less lifestyle on his social media accounts. His Instagram feed is peppered with pictures and videos of him using or showcasing drugs, diamonds, cars, women, and expensive watches. Xanax and marijuana seem to be Pump’s drugs of choice. However, he announced a while ago that he was quitting Xanax. The rapper has gone to the extent of making what looked like weed, rain on concert goers, who trampled over each other to get a hold of some. In 2018, Lil Pump welcomed the new year with a collaboration with producer Carnage and released “I Shyne.” The artwork for the song eerily looks like the iCarly’s logo, making it more obvious that Lil Pump is not over actress Miranda Cosgrove yet! Notorious for his rampant attraction towards Miranda Cosgrove, Lil Pump has been using social media to tease his fans about him and the actress. But the love between Lil Pump and Miranda Cosgrove seems to be pretty much one-sided! Lil Pump’s songs are no doubt doing great, but he has yet to grab an award nomination for his performances. The rapper has been leading the Billboard Charts’ sister chart, Bubbling Under Hot 100 Singles List, with “Boss.” It took the No. 1 spot on the list. Pump’s other tracks like “Molly,” “D Rose,” and “I Shyne” have also taken leading spots on the same list. Meanwhile, “Boss” and “Gucci Gang” have both gone gold, making him one of the most successful rappers in recent years. Lil Pump’s net worth is estimated at $4.0 million, which came pretty easy to the rapper. And he is not about to simmer down! If we know anything about rappers, it’s all the cash they tend to show off time and again! And Lil Pump is not one to shy away. He earns a lot of money sure, but he spends it all very lavishly. It seems that he received a sum of $350,000 as an advance on the Warner Bros. contract. But after “Gucci Gang’s” rise in popularity, that amount could increase between $8.0 to $12.0 million instead. Pump is often seen on Instagram showing off thousands of dollars in cash and more in jewelry and cars. Although he doesn’t have a license yet, the rapper said he owns three cars. A black Rolls Royce can parked in a garage be seen in a video where he is showing off $300,000 worth of diamond-studded jewelry. The rap also includes a line where Lil Pump says he has so much money in his wallet that it doesn’t fold! The singer flaunts off his bling from Icebox, which is his go-to jewelry brand. And it appears most of his infamous gemstone-studded watches are also from there. If you were as confused about this phrase, then believe us when we say it is very much English! Only mashed up together. “Let’s Get It” is actually what Lil Pump says. But he stylizes it in his own way when he repeats it faithfully, be it in his interviews, songs, concerts, or in a timely social media post. It was after this that Pump started using it on his Instagram page, and it became popular. This generation is all about making and selling something catchy, even if it makes very little sense. Lil Pump’s go-to phrase has become a globally-recognized phrase, and fans have also started using it in their conversations. Along with the symbolic phrase, Lil Pump’s dreads have also become well-recognized regalia. Late rapper Lil Peep died in November 2017 reportedly due to drug abuse. Lil Pump and Lil Peep seem to have been pals, and his death came as a shocker to this new artist. But just a few days before Peep’s death, the Internet eerily spread the word that Lil Pump was dead due to a drug overdose! The coincidence was creepy, but the news spread all over social media. The young artist apparently OD’ed on Xanax and was found dead at his home with a bag full of the pills. To add to all the drama, there was a sketchy-looking tweet by Pump, saying that no one loved him. Nonetheless, the whole story settled down, but Lil Peep died days later. Lil Pump was very much alive, and he was on an international tour at the time, which is also why his Instagram account was not being regularly updated. DJ Akademiks released some serious news about Lil Pump’s name being changed to Jetski, and the rapper himself said the same. But fans are still unsure about searching for him using the new name, as he has not changed his official accounts yet. On Facebook, the artist released a photo in which he is introducing himself with the name Jetski and wrote that his last name is Mercury. But since none of the names on social media accounts have been renamed, people are not yet going all out with the name change. From being thrown out of hotels, to getting arrested by the law, Lil Pump has had a very bad reputation when it comes to his image in public. The artist was arrested at his home in February 2018 after he allegedly fired a gun. Pump’s manager was reported to have told the authorities that there was a trio of men attempting a B&E at Pump’s home in San Fernando Valley, California around 4:00 p.m. The three crooks fired at the house’s front door it seems. But after the officials did their investigation, they found that Lil Pump was high on marijuana. And the story he told about the intruders also had many misleading facts. They made an arrest after figuring out that Pump fired at the door. They also found marijuana at his home, which gave them all the more reason to take him into custody. The rapper was later released from the Sylmar Juvenile Hall in California with an ankle monitor. At the time of his release, the artist looked in great shape and even showed off his ankle monitor to the media.